We're excited to introduce our new application, Workshare Compare Online from NetDocuments. NetDocuments users can now compare documents quickly and accurately in a browser. 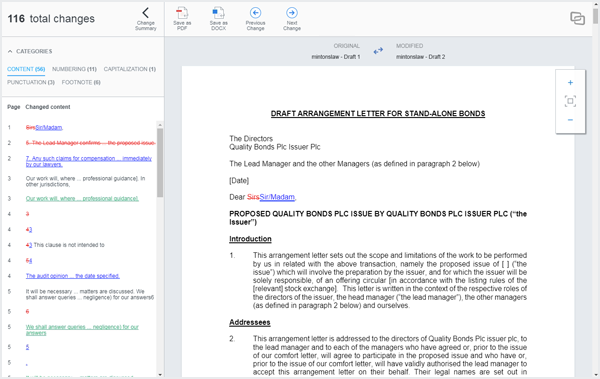 In NetDocuments, select any two Word or PDF documents or two versions of the same document and choose Send to application > Workshare Compare Online. The redline opens in the browser where you can navigate between changes, categorized by type, and save the comparison. Check out our knowledge base for instructions on configuring NetDocuments and Workshare Compare Online and to learn how to compare files online from NetDocuments and view your comparison in a browser.